Editor's note: This story appeared originally on NavyTimes.com on Aug. 18, 2015. The Navy head of Naval Special Warfare Command is planning to open its elite Navy SEAL teams to women who can pass the grueling training regimen, to letting women who can pass the training into the SEALs, the service's top officer said Tuesday in an exclusive interview with Defense News. Adm. Jon Greenert said told This Week in Defense News in an interview that will air Sunday that both he and the head of Naval Special Warfare Command, Rear Adm. Brian Losey, believe think that if women can pass the legendary six-month Basic Underwater Demolition/SEAL training, they should be allowed to serve. "Why shouldn't anybody who can meet these [standards] be accepted? And the answer is, there is no reason," Greenert said Tuesday in an exclusive interview with Navy Times and its sister publication Defense News. "So we're on a track to say, 'Hey look, anybody who can meet the gender non-specific standards, then you can become a SEAL.'" Greenert's full interview is set to air Sunday morning on "Defense News with Vago Muradian." The push to integrate the storied SEAL brotherhood is coming on the heels of a comprehensive review led by Losey, the head of Naval Special Warfare Command, that recommended women be allowed under the same exacting standards required of male candidates. Final approval is still pending. The Army and Air Force are also moving to open all combat jobs to women, according to officials who spoke to the Associated Press. It's believed the Marine Corps may seek to keep its ground combat jobs, including the infantry, male-only. 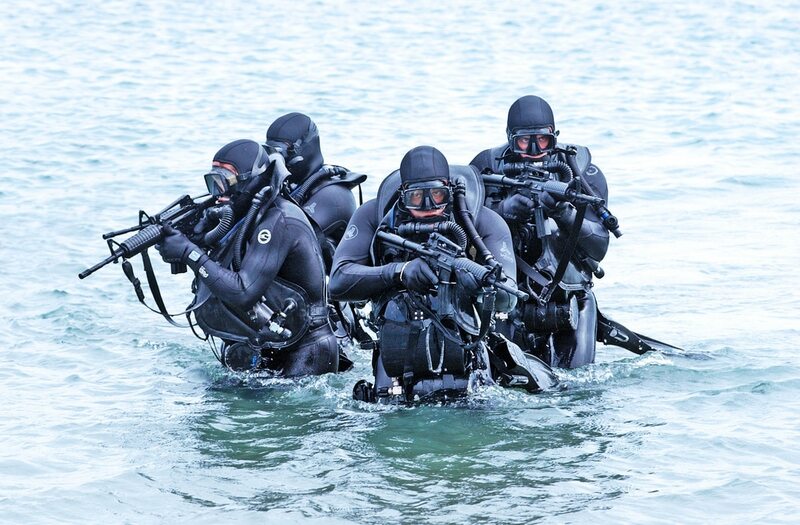 The Greenert said a Greenert said the Naval Special Warfare community underwent a comprehensive review of the training given to prospective SEALs. The review affirmed the status quo and, Greeenert indicated, there would be no relaxing of the standards in order to accommodate women who will have to sink or swim under the current set of standards. The move to integrate the military's most storied commando units comes news that the SEALs will likely open to women comes the day after news broke that two women had passed the Army's arduous Ranger course. Nineteen women began the course, which generally has about a 45 percent passing rate. The Navy has said it is on a track to open all ratings upto women by next year, but this is the first indication that the SEALs are leaning towards accepting candidates. Greenert didn't specify a timeline for allowing women candidates into BUD/S training. Marine Corps Forces Special Operations Command is also conducting a review of its standards in preparation for a possible integration order, according to Maj. Gen. Joseph Osterman, MARSOC's commander. The SEALs would be the latest, and the last, of the traditionally male-only branches to open to women during Mabus' tenure. In 2011, the first female officers reported to ballistic missile submarines, and early this year several more reported to Virginia-class attack subs. Enlisted women are on track to join them next year and the service is already recruiting enlisted women off the streets to enter submarine ratings. And in 2012, riverine training opened to women, making way for the go-ahead to assign them to billets and deploy them last year. But what's not clear It's not clear is how many women will ould even attempt to join thebe SEALs when it opens to them. The percentage of women in expeditionary specialties, like Seabees and Navy divers, are exceedingly low. even if the career were open to them as the number of women in similar ratings and communities to special warfare are very low. Out of an end strength of 1,153, there are only seven female Navy divers — just .61 percent of the force. And there are only 10 women in the Explosive Ordnance Disposal community of the 1,094 total enlisted sailors. In Explosive Ordnance Disposal community as a whole, there's are 1,094 sailors of which women make up .91 percent with 10 in the ranks. In the officer ranks, EODxplosive Ordnance Disposal officers fill officer billets at both EOD and fleet diver commands — billets that have also been open to women for decades — but less than 3 just 2.79 percent of those billets are held by women. of women in that community are women. Staff writers Hope Hodge Seck and Mark D. Faram contributed to this report. Chief of Naval Operations Adm. Jon Greenert discusses the possibility of women becoming Navy SEALs.